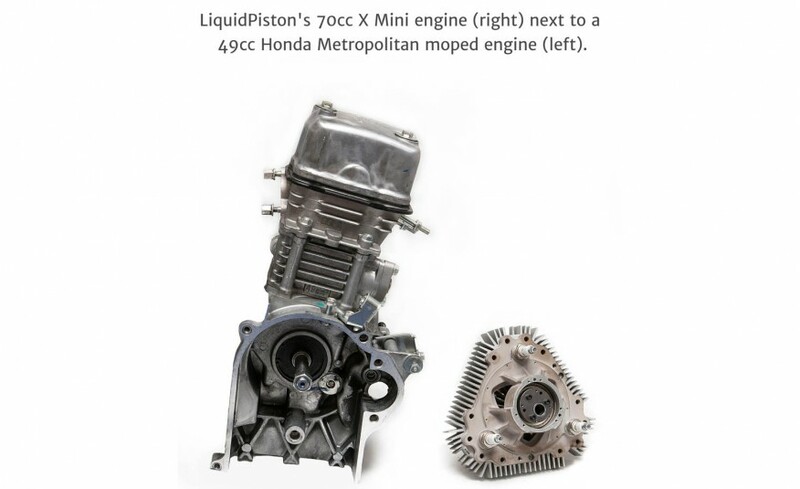 LiquidPiston announced last year that they received a $1 million DARPA grant to develop their X-mini engine, and it appears that they've succeeded. 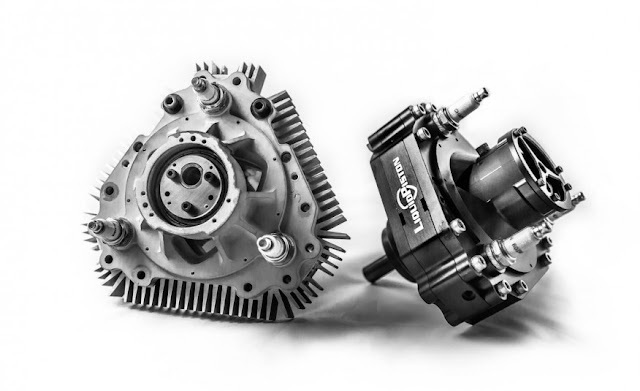 The 4-pound, 3-hp engine is small enough to fit in the palm of your hand, yet it can power everything from vehicles to generators to drones. 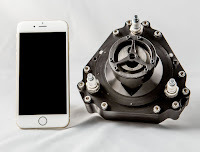 The X-mini uses LiquidPiston's proprietary rotary engine design and thermodynamic cycle which offer vast improvements over both a traditional Wankel rotary engine and common piston engines. 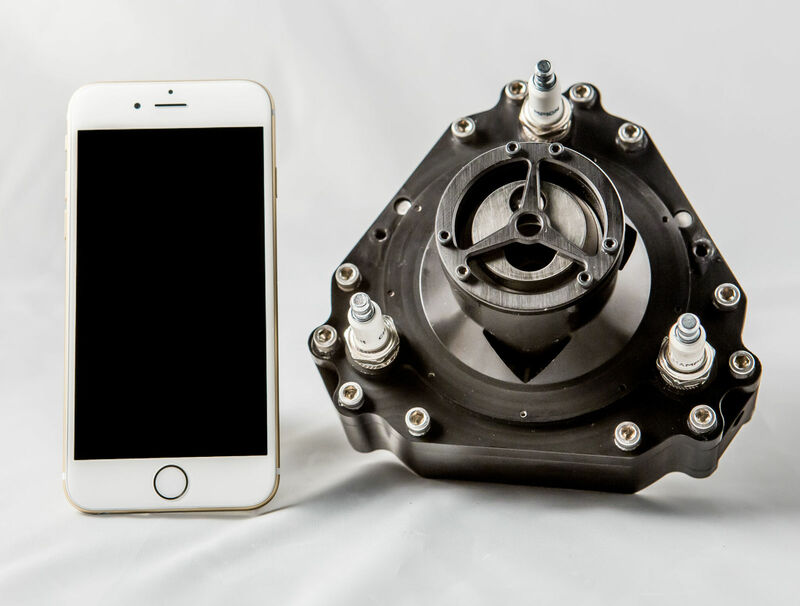 LiquidPiston says the X-mini can run on Jet Propellant 8, the military's fuel of choice, making it an ideal candidate for all sorts of military applications. For instance, the X-mini is small and light enough to power a UAV, it can be part of a generator that can be carried in a backpack, or it can even be used to power military robotics. 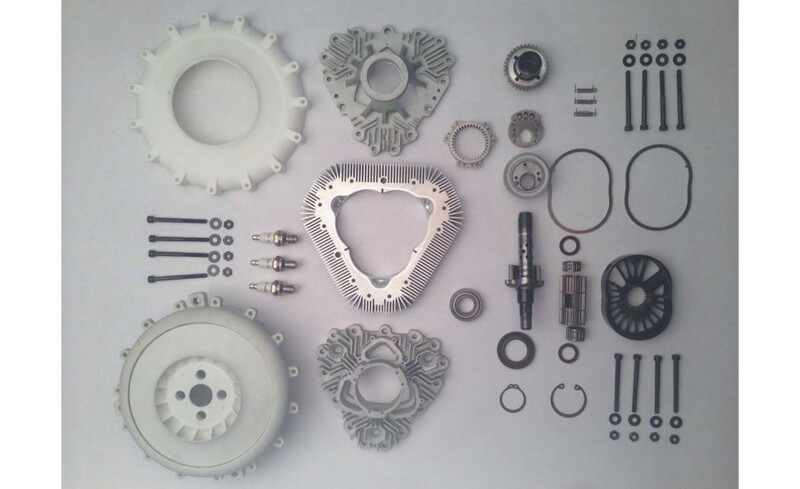 According to Alec Shkolnik, LiquidPiston's co-founder and president, "[DARPA] is kinda agnostic as to the actual application … they have so many different applications that need power." Shkolnik said that the X-mini is still early in testing, and they have only just built their first working prototype, but he's hopeful that the engine could see a commercial release sometime in the next few years. When that happens, the X-mini could find its way into lawnmowers, emergency generators, and even small vehicles like mopeds.